Born: 8 January 1922, in Portsmouth. Died: 22 July 2016, in Guildford, aged 94. Educated at Portsmouth High School, Ron Auckland joined the Civil Service in June 1938, working for the Admiralty within the then Royal Naval Dockyard Portsmouth. When war came he perhaps experienced more than most, he and his family were bombed out of their home and on duty as fire officer he had to carry out the dead and rescue the injured after an enemy bomb exploded on a crowded air-raid shelter. Although in a reserved occupation he was determined to join up as soon possible. Like most young men he wanted to fly and so enlisted in the RAF Volunteer Reserves and after the normal basic training he was shipped out to Canada and the USA for basic and advanced flying training. He returned home with the rank of Sergeant and more importantly his wings. 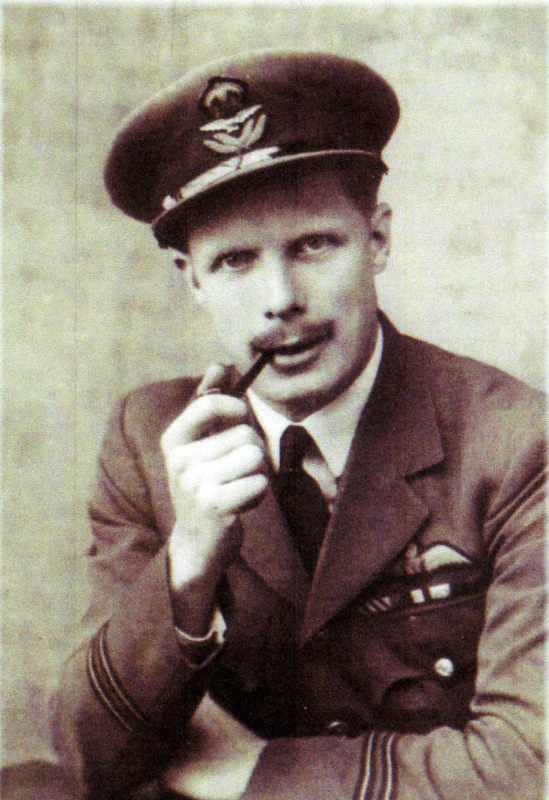 He was promoted Pilot Officer in December 1943, Flying Officer in June 1944 and Flight Lieutenant in December 1945. He was nominated to fly the Lancaster bomber and was posted to 61 Sqn, RAF, part of Bomber Commands 5 Group based in Lincolnshire.